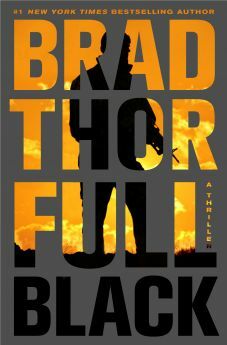 A review of Full Black: A Thriller by Brad Thor. Location, location, location… They say that these are the three most important factors in real estate, and on occasion location, location, location matters in fiction, also. 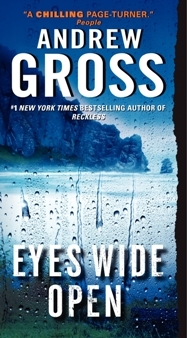 Take this novel, Eyes Wide Open, by Andrew Gross (author of Reckless). 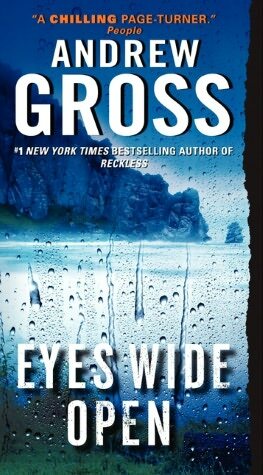 You will probably enjoy this thriller of a crime story if you’ve visited at least two of the three California locations in which the action takes place: Morro Bay (misspelled as Morrow Bay on the back cover), San Luis Obispo and Pelican Bay State Prison in Crescent City, near the California-Oregon border. Since I’ve visited all three – the first for play; the latter two for work – it was easy to visualize the scenes in this novel. In the tale (based on something that happened in real life to the author’s family), our protagonist Jay Erlich – a New York State-based physician – learns that his nephew has apparently committed suicide by jumping off the famed 600-foot high volcanic rock in Morro Bay. At the request of his troubled older brother Charlie, Erlich flies out to the calm, coastal community to see if what the police have reported is correct. Early on it’s clear that someone is covering something up, as there are problems with the official story. Charlie Erlich was once a chart-topping musician, but then he fell in with a wild group of drug users in Marin County. And this is where the story telling goes a bit sideways. It’s immediately obvious to the reader that Charlie was once a member of the Charles Manson Family, but here Manson is fictionalized as the “leering and wild-eyed” person known as Russell Houvanian. [Houvanian, of course, is first imprisoned at San Quentin before being moved to Pelican Bay – just like Charles Manson.] The author devotes page after page to recreating the events surrounding the Manson Family, but for some strange reason moves them from Ventura and Los Angeles counties to Marin and Santa Barbara counties. 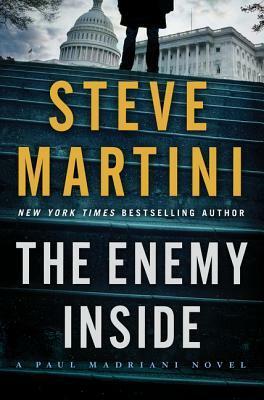 While the author’s credibility takes a hit with his strangely and loosely disguised historical events, the story itself is engaging. Lives are at risk and it’s up to Doctor Erlich to become an instant, skilled criminal investigator in order to figure out which authority figures are telling the truth and which are lying to protect their own reputations. 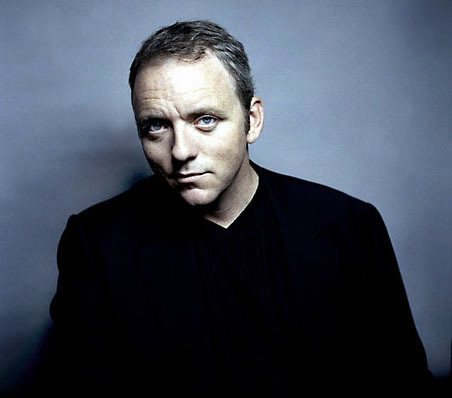 As with the novels of David Baldacci, Joseph Finder and Michael Connelly, events speed up rapidly as the conclusion approaches, and it all ends in an almost breathless fashion. Once you’ve finished Eyes Wide Open, you may want to check on the availability of a room at The Inn at Morro Bay. Just make sure to be very careful if you decide to climb the famed rock of Morro Bay! A review copy was provided by the publisher. “Should be read with the lights on and the door closed. 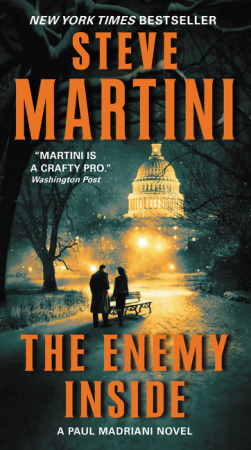 A rare and menacing psychological thriller…” Nelson DeMille. You are in for a doggy treat – not to be confused with Milk Bone biscuits. 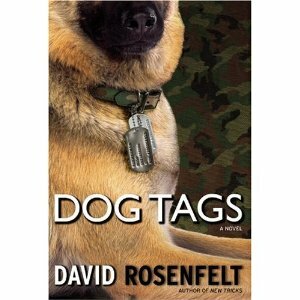 Author David Rosenfelt is a master of timing, understatement and spoofing. 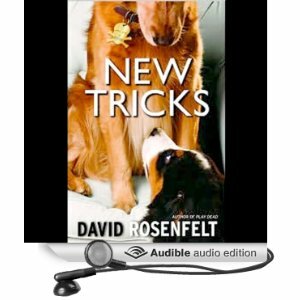 This Andy Carpenter novel, New Tricks, is an all-around good read; a mystery complete with an attorney who has a reputation for defending dogs (of the canine variety), a temperamental and outspoken judge nicknamed Hatchet and a lady police chief from Wisconsin who just happens to be the attorney’s long-distance girlfriend. The cast of characters is enhanced by a friend who communicates with the attorney by singing the lyrics of popular songs. The center of attention is Waggy, an eager and energetic Bernese puppy whose ownership is in dispute. An exploding mansion with collateral damage that murders the owner is the attention-grabbing action that marks the beginning of the mystery story. The plot twists, turns and then doubles back on itself. There are plenty of red herrings, hidden motives, puns and double entendres that give an appreciative reader cause to laugh out loud. 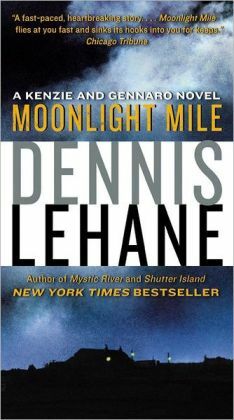 The plot twists and turns are worthy of The Rockford Files and 77 Sunset Strip. For readers under the age of 50, author Ellen Raskin (The Westing Game) comes to mind. Highly recommended. A charming tail wagger!